Blog and News | GreenRope :: What is Data Integrity? What is CRM Data Integrity? Business owners are constantly juggling multiple priorities. From the very basic things like the physical plant to the highly technical ins and outs of your industry processes, the dynamic life of an entrepreneur may also find your energies spread very thin. Among your priorities is data integrity. Data integrity is important to your company, whether you know it or not. What is data integrity, exactly, and what influence does it have on your business? Completeness. In order to make meaning out of data, you need to get the whole picture. Missing data can mean the difference between a new level of success or a bad business move. Good CRM entails knowing when you don't have good data, and knowing how and where to find what you don't have. If you don't know what you don't know, you have double the problems. Accuracy. This one should be a no-brainer, but a surprising number of businesses don't pay enough attention to the accuracy of their data. Transferring data between systems can endanger the data's accuracy and integrity. It's important that you use systems that help you maintain a high level of data accuracy. You may also want to put checks and balances in place so that you can easily identify if there is a breach in accuracy. Consistency. It's hard to build a report if you only have partial data. You can't conduct a comparison if you have data for only one side of the correlation you're trying to build. Data consistency is key: you need to make sure you're collecting the same amount and type of data from each stakeholder, lead, client, project, and account. Searchability. With complete and consistent data entered into an integrated system, you will be able to search for what you need, no problem. CRM systems that feature built-in search tools and report functions help you to find what you are looking for quickly. Furthermore, you will be able to delegate data access to different members of your team so that employees can find information, even if they weren't the ones to originally enter it in. Security. When you have a handle on your data, you can be confident the your business's information is secure. Far too many companies have used sloppy data processes that lead to information being lost or stolen. Investing in secure data management tools means that you can promise confidentiality confidently. Maintainability. It's a scenario that's all too familiar: after a laborious data compilation and cleaning up process, the mess reoccurs just a couple of months later. It's important that your company uses data processes every employee can learn. With a CRM system built for your company, you can be sure that data is easily maintained and updated. Any time that you put into your data will not be time wasted. Relationship-building. The obvious benefit is that accurate information allows your whole team to keep up-to-date with all of your stakeholders. The hidden benefit is that good data management tools allow you to identify, map, and predict relationships between pieces of data. We know how important data integrity is to your business. 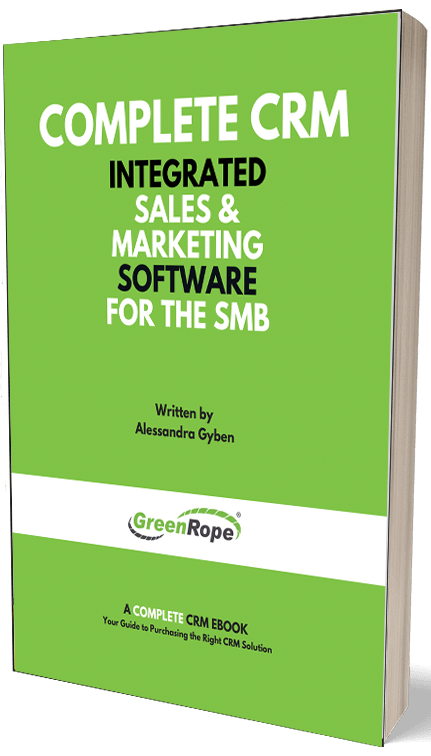 GreenRope is a CRM and marketing automation platform poised to meet your data integrity needs. We're committed to helping you sustain accurate, maintainable, secure data. It's a key piece in your business's success.